While I was recovering from my back injury (in February 2017), I was feeling pretty low. For months, I could barely bend over. You can read more about where I started post-injury here. 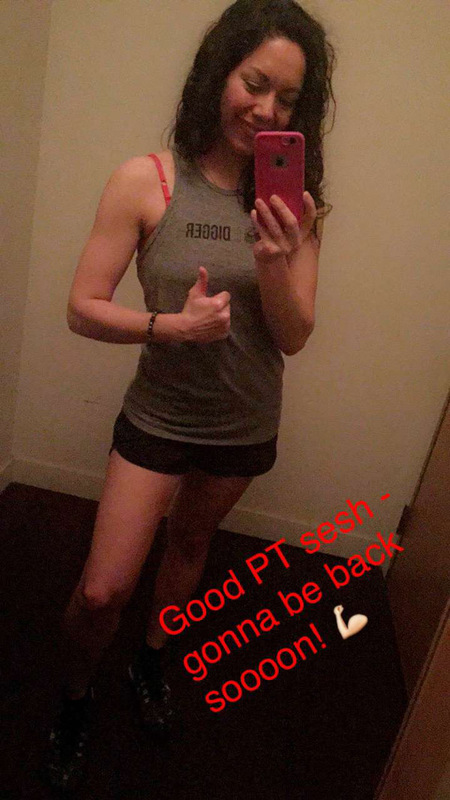 After three months of physical therapy, I felt like I’d barely improved. I was doing nearly the same (boring) exercises, and I wasn’t seeing much strength improvement. 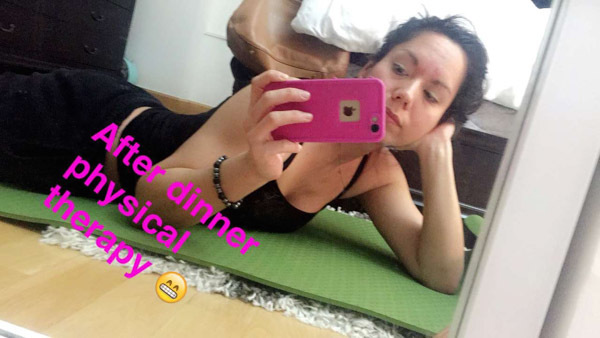 I kept thinking I’d be back to my dance and other group fitness classes any day. As time passed, it seemed like that day may never come. I remembered thinking I was glad I hadn’t blogged much about my injury. How would I be able to tell you that things weren’t getting better? How would I be able to tell you that things weren’t getting better? It was a challenge to stay positive and hopeful. I remembered the day I felt like giving up. Like accepting that things would always be like they were at the time. No more yoga. No more strength training. And potentially…no more dance. I felt heartbroken and discouraged, but I forced myself to stay positive. To think positive thoughts, even though recovery was starting to look impossible. While I don’t remember what reminded me, the idea of a vision board came up. If you’ve read anything about manifesting with the universe, you know that the act creating physical representations of things you want to happen can be powerful. While I’d been into thinking good thoughts, I hadn’t tried many physical approaches. It seemed like as good a time as any to start. 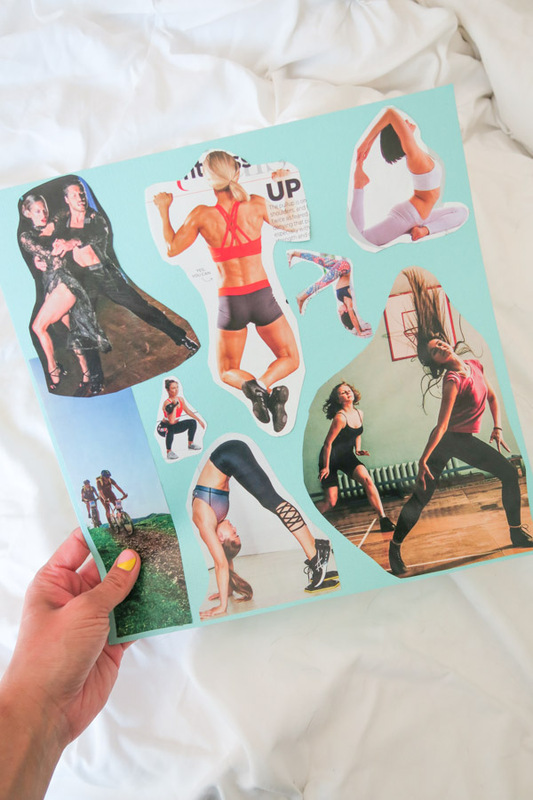 The concept – a vision board for my injury recovery. First, I bought a piece of sturdy scrapbook paper in a color I loved. Then, I went through my magazines and looked for (and tore out) photos that reminded me of what I wanted to achieve fitness and injury-recovery-wise. This was repeated until I had enough to cover more than the page so I had options. Next, I trimmed my favorites and laid them out on the paper. Once I was sure that all the areas of fitness were covered, and I liked the way they fit together, I glued them down. I wanted to be active, but I also wanted to be strong. At the time I made this board, I was still doing very light bodyweight exercises, and I think I’d just started trying out biking for fitness (and fun). So yea. No yoga. No (real) strength training. No dance. No Zumba. Womp-womp! Even though I was totally skeptical, I did my best to stay positive. I put my vision board on my door. I looked at it every day and tried to picture myself doing yoga, strength training, biking, and dancing. But I also stayed focus on doing and not just thinking. This meant I continued my physical therapy exercises, increasing difficulty and trying new moves as my body allowed. With time, I grew stronger. I tried more strength training. And eventually yoga. And dance. And even though I had my vision board out, I guess stopped focusing quite so much on it. Because one day (earlier this year, I believe) it hit me. Wait a second. You’ve done everything on your board. …it hit me. Wait a second. You’ve done everything on your board. There was a time I’d felt it was impossible. But here I was on the other side. Vision board success! I’m back to doing handstands. And I taught my first post-injury Zumba class last month. 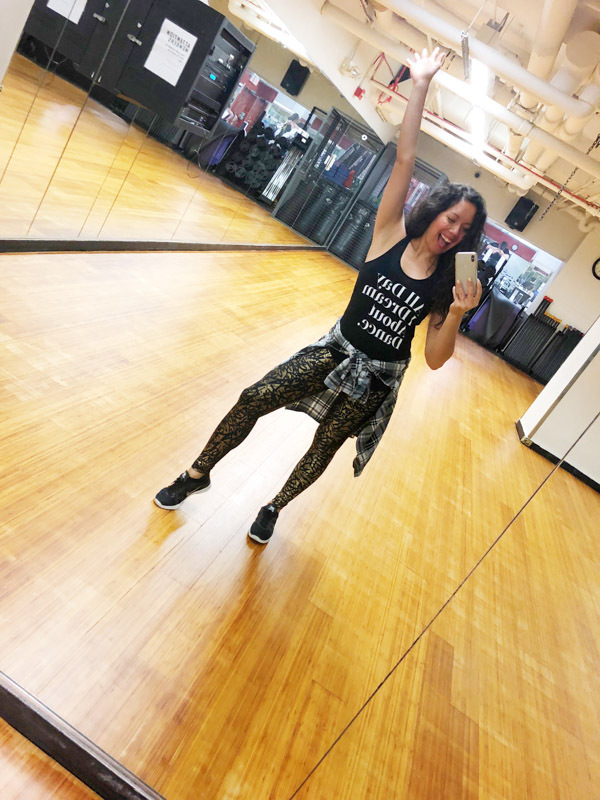 It was a charity Zumba class for my work client, and it was so much fun! I’ve really missed teaching Zumba more than I realized. So, if you’re struggling with something, consider trying a vision board. It’s a little woo-woo, but what do you have to lose? Thanks so much for reading about my vision board success with my injury and fitness goals. Please let me know if this is a topic you’d like me to cover more. I really want to talk more about how I’ve changed from being a negative thinker to being a positive one. And about more of the things I’ve been doing to improve my life. These are things I wish I’d learned about sooner, so if I can help spread the message and help, I’d love to do so!